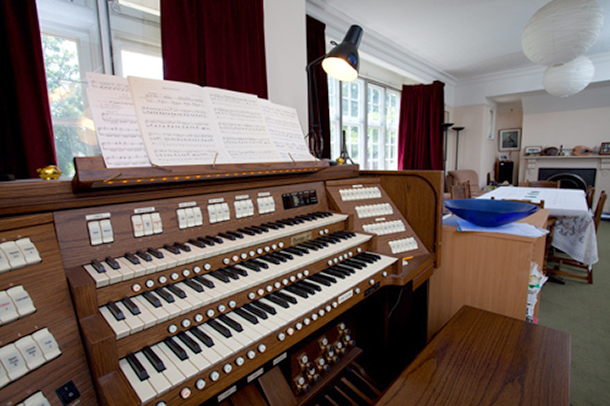 The organ console and pedals construction is based on full RCO (Royal College of Organists) specifications. Therefore recital organists will instantly be at home with the layout. It has both “compartment” and “general” memories giving a total of over 270 memories. All pipe voicings are derived using both available technologies: Sampling (PCM-Truepipe+) and Pipe Acoustics Modelling (Accupipe). Built-in orchestral synth with brass, strings, keyboards and percussion. Organ can be recorded in stereo (two-track), or by separate compartments using eight tracks (Swell, Great, Choir & Pedals). 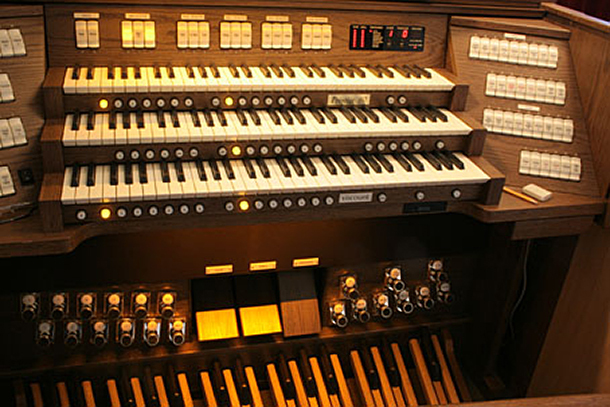 An example of the organ sound can be heard on the Recording Samples page.